Could Cassava leaves and roots extract be the Magic cure for colon, prostate and bladder cancers? Growing up in my village called Suhum-Amanhia on the Koforidua road; I quite remembered we were told of the two main varieties of cassava: The one eatable and non-eatable. Fufu is the major food in the village; I thought we were just eating for the sake of filling our stomach. But after my postdoc program in Holistic Medicine, I realized the immersed knowledge exhibited by our great grandparents on foods. I was also very shocked to read the many research articles postulating Cassava Leaves and Roots showing Promise against Colon Cancer, Heart Attack, Others. Can the tiny tubes made from cassava root extract also help treat angina and prevent some of the side-effects of existing treatments? I was perplexed also to read successful stories of patients who treated themselves from cancers using cassava including a specialist medical Doctor! 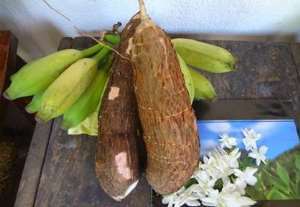 "Different varieties of cassava are generally classified into two main types: sweet cassava and bitter cassava. Sweet cassava roots contain less than 50 mg per kilogram hydrogen cyanide on fresh weight basis, whereas that of the bitter variety may contain up to 400 mg per kilogram” The leaves are also used for food and contain 100 times more protein than the root, but both must be cooked and the water discarded. Natural products are getting popular among patients as therapy for many diseases. However these remedies should be proven scientifically as some may be hazardous with no proven benefits. Cassava root, used as a carbohydrate rich food in many countries is promoted as a cure for prostate and bladder cancer! Is there any truth in this promotion for prostate and bladder cancer? The staple foof Fufu in Ghana. One case report published in the Journal of Pharmaceutical Technology and Drug Research in 2013 by Anuruddha M Abeygunasekera and Kalana H Palliyaguruge at the Urology Department, Colombo South Teaching Hospital, Kalubowila, Dehiwela, Sri Lanka revealed its ineffectiveness in controlling prostate cancer. ‘We report a patient with hormone-resistant prostate cancer whose serum PSA level continued to rise despite consumption of large quantities of boiled roots of cassava indicating its ineffectiveness in controlling the prostate cancer. Though this is a single case, it provides guidance to health care workers who look after patients with castration-resistant prostate cancer in the absence of more comprehensive research on cassava and its effectiveness on prostate cancer.” They said. The researchers further explained: "Both cassava root (tuber) and leaves are used as herbal medicine especially in Africa and South America. 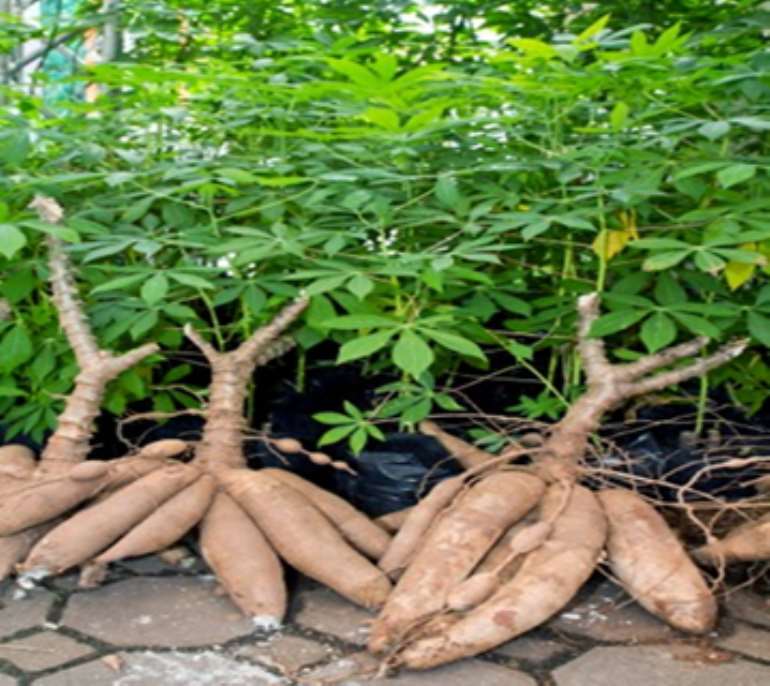 Although it has not been used in the past by native physicians of India and Sri Lanka in their traditional medical therapies like 'Ayurveda', in recent times boiled roots of cassava is being promoted as a potential cure for prostate and bladder cancer in Sri Lanka. But as a researcher, I know that a single case may not be adequate to test a hypothesis. However, in the absence of scientific publications about the effects of cassava on prostate cancer, this scientifically tested case would act as a basis of evidence that can be used by health care workers who look after patients with castration-resistant prostate cancer as well as by patients with the disease until further research is done and better evidence is available. So I decided to delved into further research to see if there are other available studies on this and the benefits of cassava in general on cancers and our health! "Linamarin, the main cyanogenic glucoside in manioc has been shown to cause toxicity to malignant cell lines”. A nested case control study conducted in India to identify the effect of dietary factors on causation of breast cancer using food frequency questionnaires has shown that consumption of tapioca is associated with a decreased risk of developing breast cancer. "The cyanogenic glucosides (linamarin and lotaustralin) in cassava leads to the production of amygdaline or vitamin B-17 which is claimed to kill cancer cells by those who promote cassava as an anti-cancer agent. However two case-control studies from India have shown that cassava consumption is associated with a higher risk of colorectal and pancreatic carcinoma. In addition cassava may cause ataxic polyneuropathy, amblyopia and tropical pancreatitis as reported in several case reports from India and Nigeria. Therefore it is prudent that we determine both the safety and efficacy of cassava in treating prostate cancer before it is promoted as a treatment. "Despite clinical and analytical limitations, PSA is an effective surrogate marker of cancer activity of already diagnosed cases of acinar adenocarcinoma of prostate. This patient's cancer was treated with accepted and proven forms of treatment in a stepwise manner and as expected, PSA levels varied accordingly with each form of treatment. This predictable response was confirmatory of its applicability as an efficient marker of malignant cell activity of this patient. However the PSA level rose while on cassava indicating its ineffectiveness in controlling the cancer. Indonesian researchers have established the anti-cancer activity of cassava leaves against colon cancer cell. The researchers concluded: "Cassava leaves have anticancer activity against colon cancer cells WiDr. In addition, the boiling process does not reduce the anticancer activity on cassava leaves." They explained: "Cancer is a global health problem with an increasing number of sufferers each year. While the three main cancers are most often detected are lung cancer, breast cancer, and colon cancer. Consumption of fruits and vegetables is known to reduce the risk of colon cancer, though it is still being debated. Cassava leaves rich in essential nutrients for the body; such as carbohydrates, vitamin A, vitamin C, iron, calcium, and phosphorus. Cassava leaves themselves are consumed as a vegetable. It is also used by the people of Indonesia to treat various diseases, including as a food ingredient that is believed to function as an anti-cancer. However, not much research on the anti-cancer activity of cassava leaves, especially in colon cancer. In 1999, the BBC reported on its health page with the headline” Tapioca Treatment for cancer’ available at news.bbc.co.uk/2/hi/health/317467.stm. According to the BBC publication; it is one of many plants which manufacture cyanide to deter animals who might want to eat it. It does this by producing a chemical called linamarin which releases hydrogen cyanide when it is broken down by the linamarase enzyme. The publication is attributed to Geneticists at Newcastle University taking genetic material from the cassava plant and adding it to a virus. This is then introduced into cancer cells which have been impregnated with linamarin from the cassava plant. The aim is for the cancer cells to produce hydrogen cyanide in high enough doses so that they commit suicide. Professor Monica Hughes has been studying cassava and cancer for seven years. She has cloned the genes from the plant which are responsible for producing hydrogen cyanide. Her objective is to reduce the toxicity of the cyanide so that it will not harm humans. Cassava is a staple crop but if it is processed wrongly, it can lead to cyanide poisoning. Because the plant is rarely used in Western diets, it has not been subject to much scrutiny by geneticists. Professor Hughes has been working with a research team in Madrid to modify the cassava gene and transfer it to a retrovirus. This gives the retrovirus the ability to produce linamarase. The Spanish researchers found that a brain tumour in a rat was totally eradicated after one week of the genetic treatment. It allowed the localized release of small doses of cyanide through the breakdown of linamarin by linamarase. The team found that part of the reason the tumour was so quickly destroyed was that the cells containing the retrovirus also affected surrounding cells. They say tests on human tissue samples for certain cancers also look promising. Professor Hughes' research has been funded by the European Union, but her funding has now run out and she is looking for other sources. She says her next step is "to modify the genetic material with a view to making the treatment more effective when applied to mammalian cells". Another important ground breaking article is this one: Cassava or manioc root - one more magic cure for cancer | Holistic .sattvamji.blogspot.com/2014/10/78-cassava-or-maniok-root-one-more.html. 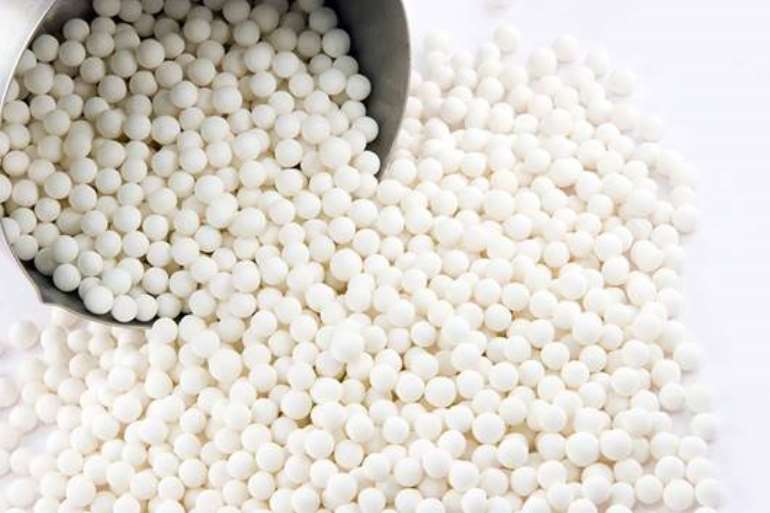 Some published scientific works in the Western and a few Asian countries indicate that the incidence of cancer was less among the tapioca consuming population in African countries. Indonesians were the first to reveal the anti-cancer properties of tapioca. Researchers from Nigeria had established that the leaf extract of tapioca could help to cure prostate and bladder cancer. Nigeria is the world's largest producer of cassava, while Thailand is the largest exporting country of dried cassava. In another study by Cesar et al in 2011 entitled “Antioxidant and anti-radical activities of Manihot esculent a Crantz (Euphorbiaceae) leaves and other selected tropical green vegetables investigated on lipoperoxidation and phorbol-12-myristate-13-acetate (PMA) activated monocytes,” published in Nutrients journal, a group of researchers investigated the capacity of aqueous extracts prepared from vegetables, including tapioca, to inhibit the per oxidation of a linoleic acid emulsion. The ability of the extracts to decrease the cellular production of reactive oxygen species (ROS) in inflammation-like conditions was studied in a cell model of human monocytes activated with phorbol ester. Tapioca has been associated with some health benefits, such as healthy weight gain, increased red blood cell count, improved digestion, preventing diabetes, protecting bone mineral density, preventing Alzheimer’s disease and maintaining fluid balance within the body. Furthermore, it has been experimentally shown that methanolic extract of Manihot esculenta has potent anti-anthelmintic and anti-inflammatory activity. Several methods have been developed to extract the antioxidant fraction of plants and food material, with the extraction yield and the activities of the obtained extracts depending on many factors, such as the solvent used and its polarity, temperature, pH, the plant part, material preparation and the presence of hydrophilic and/or lipophilic compounds. The results from this study demonstrated that plant powders contained different amounts of total polyphenol and flavonoid, depending on the plant analyzed, and that the identified compounds partially explained the inhibition of oxidation observed. Based on the experimental evidence, the team concluded that plant extracts may act directly on reactive species, crossing the cell membrane and acting on cellular enzymes responsible for ROS production, mainly NADPH-oxidase which in turn participates in inflammatory processes. 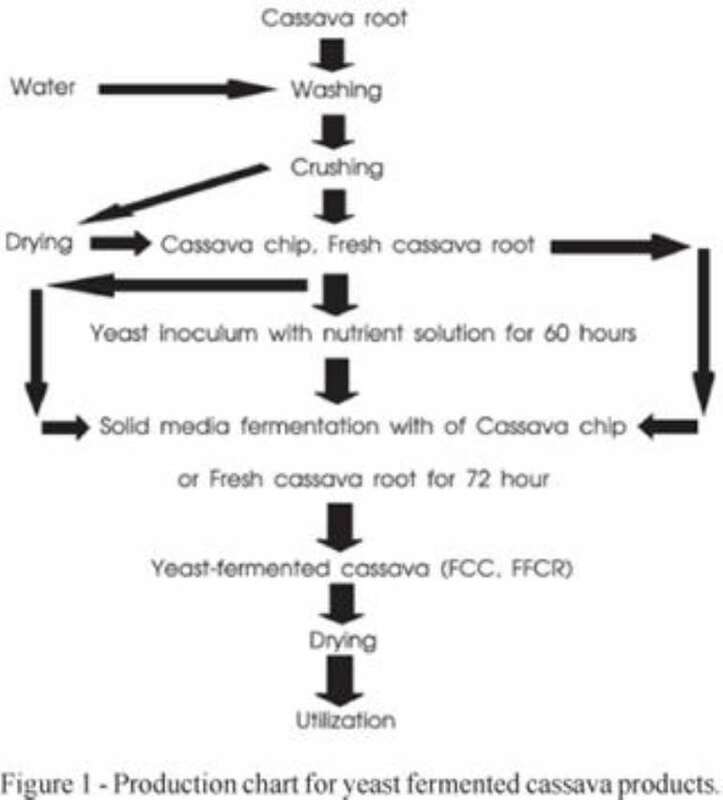 Fig 2. boiling process does not reduce the anticancer activity on cassava leaves. The connection between inflammation and tumorigenesis is well established, with a lot of supporting evidence from genetic, pharmacological, and epidemiological data over the last decade. Inflammation is also likely to be involved with many forms of sporadic as well as heritable colon cancer. The findings in this study could serve as a platform for future research focusing on the natural anti-inflammatory properties of certain types of plants and their possible use in colon cancer prevention. In another study by David Omoareghan Irabor published in the Journal of Cancer Epidemiology titled “Colorectal Carcinoma: Why Is There a Lower Incidence in Nigerians When Compared to Caucasians? Revealed cassava consumption has protective effect on colon cancer. According to the American Cancer Society, "there is no convincing scientific evidence that cassava or tapioca is effective in preventing or treating cancer". Dr. Cynthia Jayasuriya in Sri Lankan age 76, a retired ENT specialist, does not treat cancer and makes no money from propagating the use of manioc or other foods such as apricot which contains Vitamin B 17, proven to kill cancer cells in the body, leaving the afflicted person well again. Since Dr. Jayasuriya revealed to the media that she had experimented with eating manioc and was cured of cancer which she had for a decade, while her writing has been monitored on email. She has received the attention of people from many parts of the world. Dr. Jayasuriya cites the studies of Filipino Professor Manuel Navarro. Self-effacing Dr. Navarro just lists himself as “MD” but his research and success makes him one of the top oncologists in the world. Dr. Jayasuriya got to know of Dr. Navarro through Dr. Larry Von of USA. Dr. Navarro has said that manioc is an effective low-cost treatment to help reverse cancer growth. 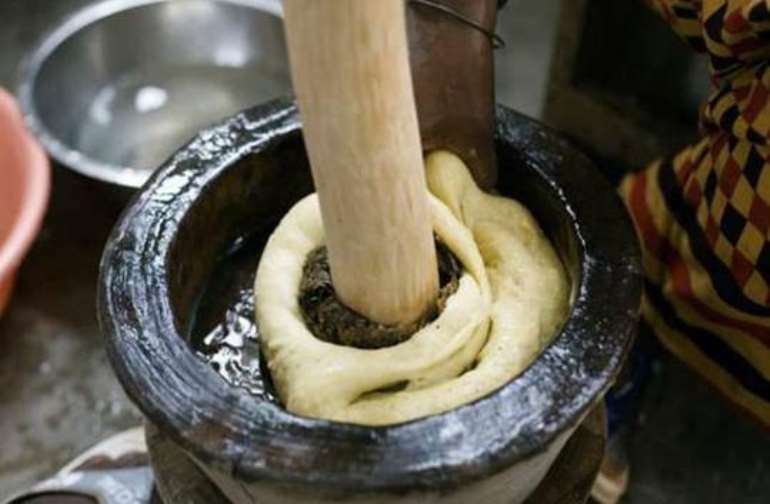 His advice is to take about a four inch average size cassava root, wash and peel off only the outer brown skin and blend it in a blender with two cups or 16 ounces of distilled water. The blending at high speed should be for just for two minutes. Pour the “Cassava Milk” into a wide mouth glass storage bottle, and cool in a refrigerator. When it settles, all the dissolved starch will stay at the bottom; there will be nearly two cups of clear liquid on top. Drink one half of it (one cup) in the morning before breakfast and other cup in the early evening. The taste will be slightly bitter being the base of the B-17. To counter the bitterness, concentrated fruit juice or flavour can be added. He also said that it is not deadly “cyanide” and it is only Amygdaline (B-17) which is somewhat similar in formula to cyanide, but lacks an “h” factor of the cyanide formula. Amazingly, cancer cells being non aerobic, do produce within themselves that missing “h” factor. Thus, only the cancer cells are poisoned as they touch the B-17! But all other cells are left untouched. South American Indians living in the heights of the central mountain areas eat maize (corn) as their staple food. They never have cancer as corn contains large amounts of B-17. A Lankan doctor said that in places in Africa where tapioca is the staple food, there are no known cases of cancer, but deaths from AIDS are high. Dr. Jayasuriya had had her left kidney and ureter (tube which leads from the kidney to the bladder removed and part of her bladder was cut out. For seven and a half years she was well before the cancer appeared again, necessitating surgery. At that stage, Dr. Jayasuriya, knowing that almond, the kernel of apricot is high in B-17 and used in treating cancer, searched the internet and found that manioc is also high in B-17. Dr. Jayasuriya consumed about a 100 grams of manioc, three times a day. In the morning, she ate it boiled and in the afternoon and night, as a curry. She advises that manioc should be boiled, covered with water to the top of the utensil, left open. Old manioc must not be used and ginger should not be consumed even as ginger biscuits eight hours before and after consuming manioc. Dr. Navarro has said that his treatment of patients with Laetrile-amygdalin in cases of terminal cancer are comparable or superior to results obtained with the use of the more toxic standard cytotoxic agents, an extract from World Without Cancer by Edward Griffin. 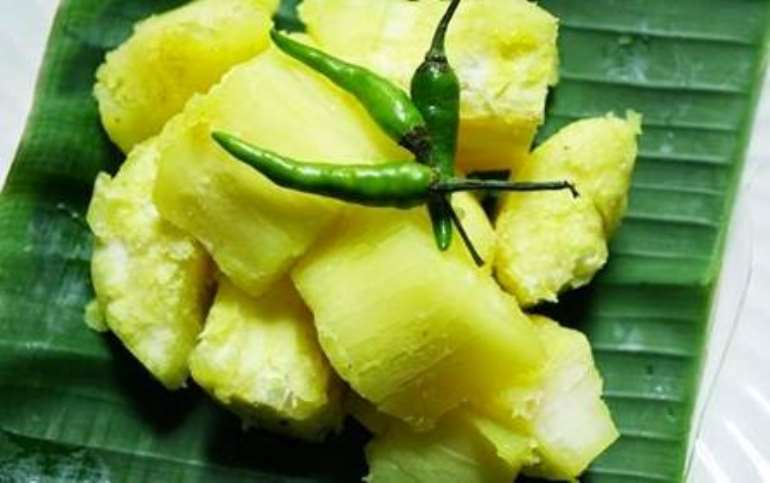 Dr. Jayasuriya has been asked whether eating manioc when a patient is on chemotherapy or radiotherapy, or some other form of treatment is harmful. Her answer was that no tests had been carried out on any such harmful effects, but those who had dared to consume manioc while on such therapy had very good results. Dr. Jayasuriya recounted some of the people she knew who had spent very large sums of money for the treatment of cancer with injections and other forms of therapy but they suffer and die. Manioc is available in the USA, got down from Mexico and Dr. Jayasuriya had cooked manioc in California for her grand children who are living there. “My sister (in Melbourne) had had cancer for many years until it was detected and the surgeon examined all internal organs to rid her of possible cancer cells. Emails coming from her conform to web messages from all developed and developing countries that papaya (papaw in Sri Lanka) is an effective cure for cancer. Only, it must be taken regularly. Also, that soursup (Sinhala: katu athar or anodha) is. Other sources say that aloe vera (Sinhala: komarika) steamed and the jelly eaten is a cure for cancer,” she said. Perhaps such nutrients must be taken regularly and when in combination is more effective. A Sri Lanka oncologist had told Dr. Jayasuriya that her work will result in the local price of manioc going up. She replied that local farmers in the dry zone (manioc does not need much water) will get more money. Perhaps these nutrients must be taken regularly. Rick Cantrell, PhD, MD, PsyD says that the treatment for cancer is a $120 billion industry in the United States and $600 billion a year in the world. While cassava roots are close to what we know as white potatoes, cassava contains almost twice the calories, and may be the highest-calorie tuber known says Dr. Mercola. One cup of boiled cassava contains 330 calories, 78 grams of carbohydrates, 3 grams of protein and 4 grams each of fiber and sugar. 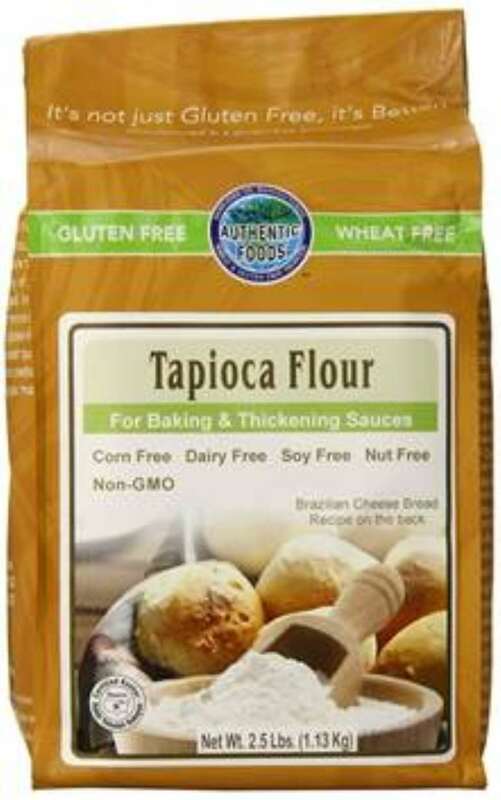 Being naturally gluten-free, cassava is extremely useful for celiac patients and others trying to avoid gluten. One aspect of cassava is that it's one of several root foods defined by the Philippines' Department of Science and Technology as having a low glycemic index (GI) and therefore good for diabetics. "GI is a classification of food based on the blood glucose response to a food relative to a standard glucose solution. Low glycemic foods control the release of glucose into the bloodstream at a steady and sustained rate, keeping the body's metabolic processes and energy levels balanced. People with low glycemic diets or [who] eat low glycemic foods are said to have lower risk of getting coronary heart disease and type 2 diabetes. These food items that have low GI would benefit those who are already suffering from diabetes, since these would help in the proper control and management of blood sugar” Philstar Global Sept, 30, 2010. As a low-GI food, eating cassava can also help improve physical endurance because blood glucose levels are moderated instead of dropping when insulin is produced. Low-GI foods also may help control triglyceride and other lipid levels in your blood. Cassava has even been called a "weight loss wonder food" due to its ability to decrease appetite and decrease fat storage in fat cells (Chris Kresser August , 2014). vii. Cassava also contains saponins that can ease inflammation, break down organic body wastes like uric acid, cleanse mineral deposits from your joints and help balance your gut flora. Cassava, which is also called manioc and yucca root, originated in South America. Today it is eaten mostly in Africa, Indonesia, and Southeast Asia. Tapioca is made from the cassava root. Some varieties of cassava contain high levels of a compound that can be converted into poisonous cyanide in the body. To prevent poisoning, the cassava can be boiled or soaked before it is cooked or made into flour. Moisture is removed from the root either by evaporation or squeezing it out after being ground, leaving a fine, white powder. Dried, it's often sold as flour or pressed into flakes or "pearls," which should be boiled before you eat them; 1 part dry pearls to 8 parts water is a good ratio. The product usually resembles small, translucent and gel-like balls with a leathery consistency that expand when moisture is added. Especially as a need for gluten-free options have emerged into the mainstream diet, tapioca is one of the best alternatives to wheat and other grains. i. Tapioca makes a popular type of pudding made up of chewy, mildly sweet "pearls," as well as bubble tea, an Asian concoction usually served cold. ii. Gluten- and grain-free bread made from tapioca is sometimes combined with other flours such as coconut flour or almond meal to improve the nutrition. iii. As a thickener, tapioca is excellent for bulking up the consistency of soups or stews, and it's essentially flavorless. iv. Flatbread made from tapioca is most often found in developing countries because it's inexpensive and very versatile. v. Added to burgers and dough, tapioca is a binder that can improve the texture and moisture content in foods without becoming soggy. The Healthy Home Economist calls resistant starch "the healthiest starch for your gut:"
i. Type 1, found in grains, seeds and legumes, resists digestion because it's bound by fibrous cell walls. ii. Type 2 is indigestible starchy foods such as green bananas and raw potatoes which, when heated, makes them digestible. iv. Type 4 is a man-made substance using a chemical process and is not healthy for you. 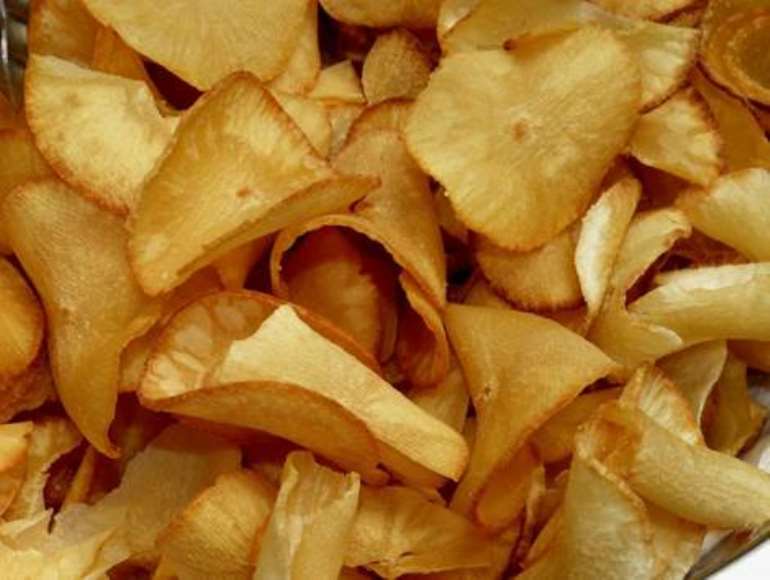 i. Cassava made into a simple paste with water and used as a peel or scrub smoothes, brightens and hydrates your skin. ii. As a mask, wash your face first with warm water, smooth on a paste using water and honey, dry completely and rinse well with cold water. iii. Cassava roots and leaves can be made into a paste to nourish and soften your hair and remedy hair loss. Twice a week, apply coconut or olive oil, then cassava paste, wait one hour and rinse. iv. Traditionally, the roots and leaves were used to boost immunity, energy and brain function, heal wounds, de-worm, soothe headaches and fevers, aid digestion and rheumatoid conditions, lower blood pressure and balance stress levels. Cassava roots contain the toxic compound linamarin, which converts to hydrogen cyanide. Improper cooking of cassava root is associated with cyanide poisoning, which can cause symptoms of vomiting, nausea, dizziness, stomach pains, headache, irreversible paralysis from a disease called konzo(Nzwalo H and Cliff J. PLoS Negl Trop Dis. 2011 June:5(6):e1051)and even death. 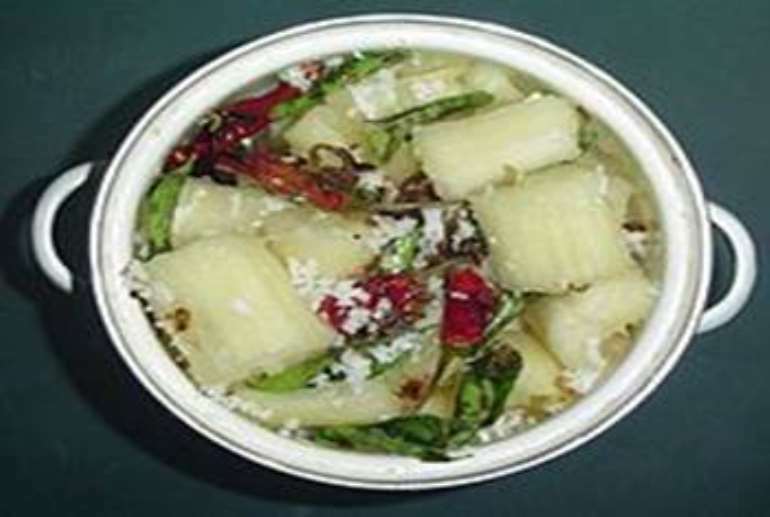 However, if the cassava is peeled and cooked, toxic substances are removed. It should be noted that the tapioca you buy at the store or prepare from a package does not contain harmful cyanide levels, so it's perfectly safe to eat. Always choose fresh and undamaged “Manioc” not grayish and damaged. When you boil “Manioc”, remember never to close the lid. Always keep it open. In the village, my grandparents use to do this; but I never bothered to ask why they sometimes do not close all the lid until as a postdoc fellow at Da Vinci College of Holistic medicine under Dr. George Georgiou of Larnaca city, Cyprus..
After my publication on the Neem tree, had discussions with some people that the one District One Factory project shouldn’t be problematic unless funding issues. 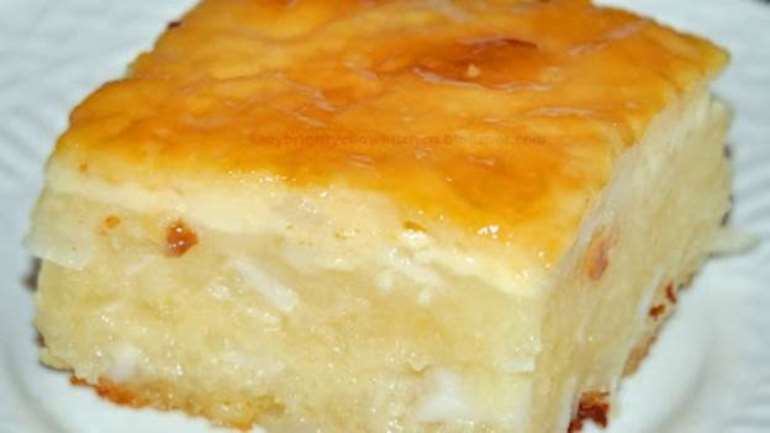 In the Philippines cassava cake is one of the most popular and enjoyed homemade delicacies or Kakanin. Made from grated cassava (Kamoteng Kahoy), the root crop is mixed with coconut milk, eggs, butter and topped with a creamy milk mixture. It is also called cassava bibingka. So can’t we do this in Ghana? After my Postdoc, I realized that, Ghana has great potentials if we invest into evidence based natural medicines. Our problem is lack of knowledge, research and ability to think beyond the box is what is killing this country. I have seen Cassava bars formulated with other ingredients sold on the international markets. The one District one factory is easy thing to be done if the government also focus on the herbal industry and bring in experts and researchers to help in the project from the natural medicine industry! We can go into cassava bars production: it could be cocoa cassava bars and many other initiatives from the cassava plant. For the first time I have established the first ever Holistic Medical College in this country to help train expert in the field of holistic medicine. We need to bring the science to the public domain. Actionable research is what is currently needed in Ghana! Does Breast Sucking Prevent Breast Cancer: Myth Or Reality? You Don’t Know Your Prostate Gland Until You Read This!